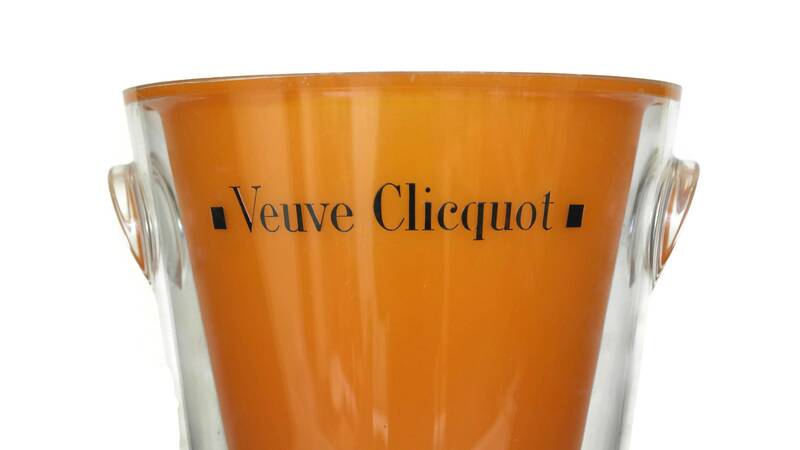 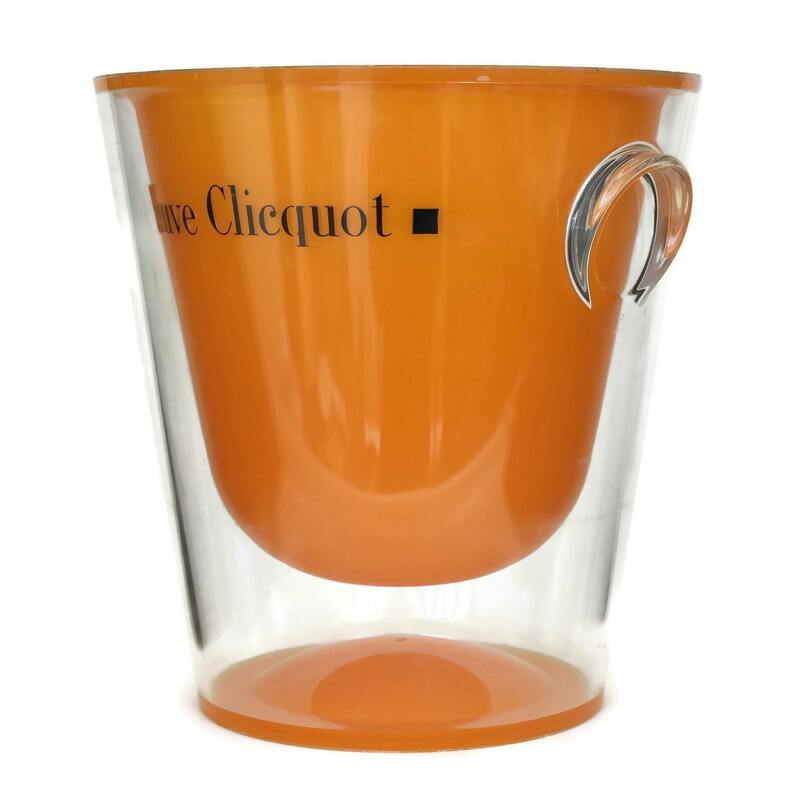 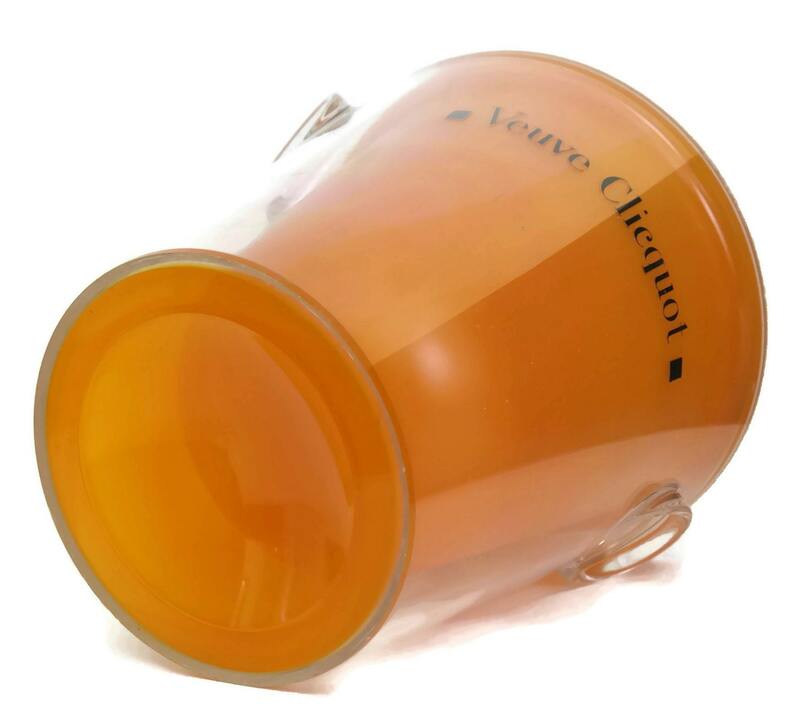 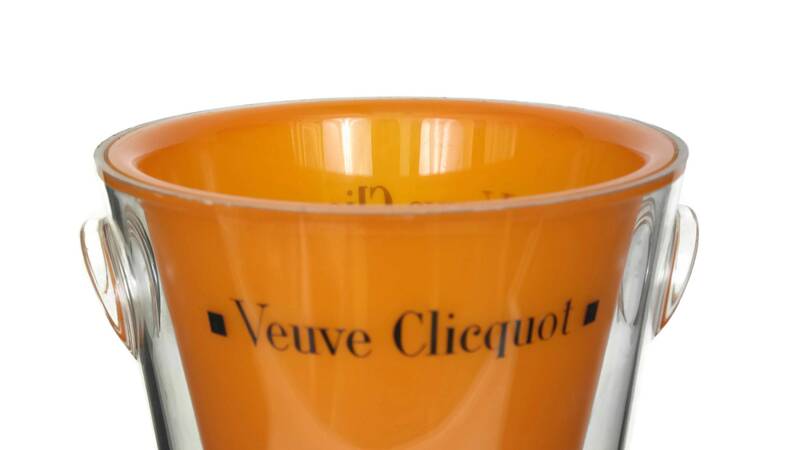 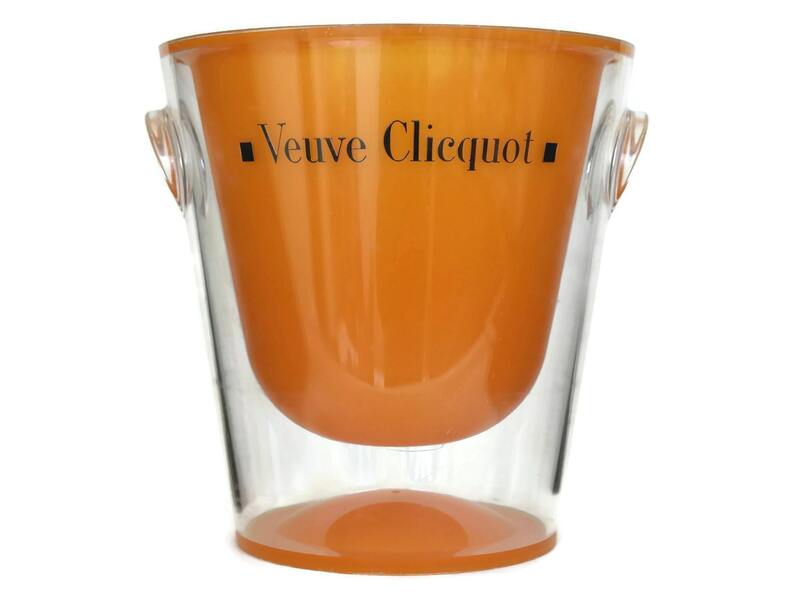 A vintage French champagne ice bucket for Veuve Clicquot champagne. 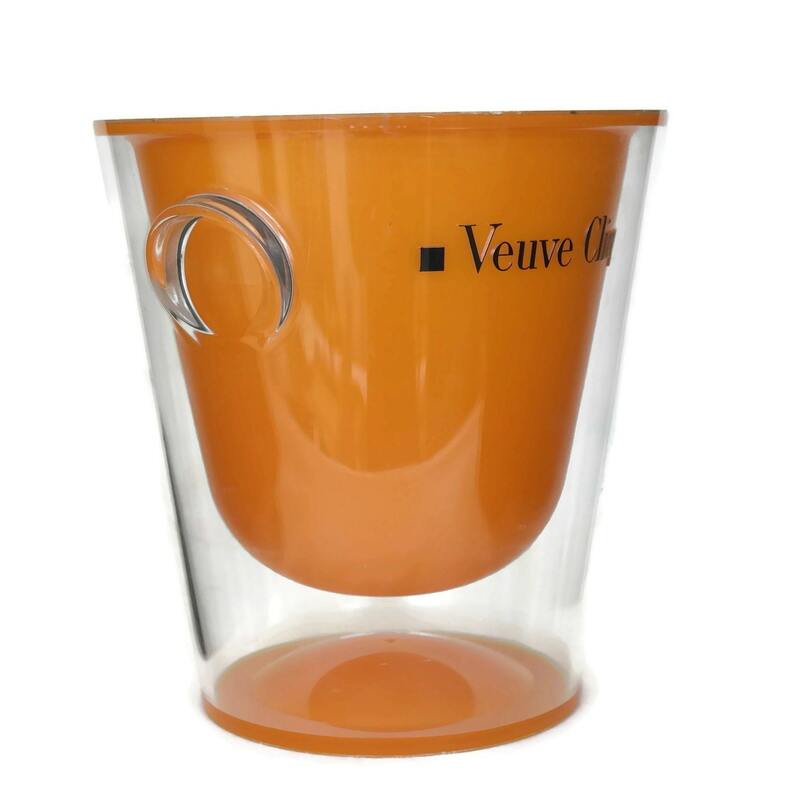 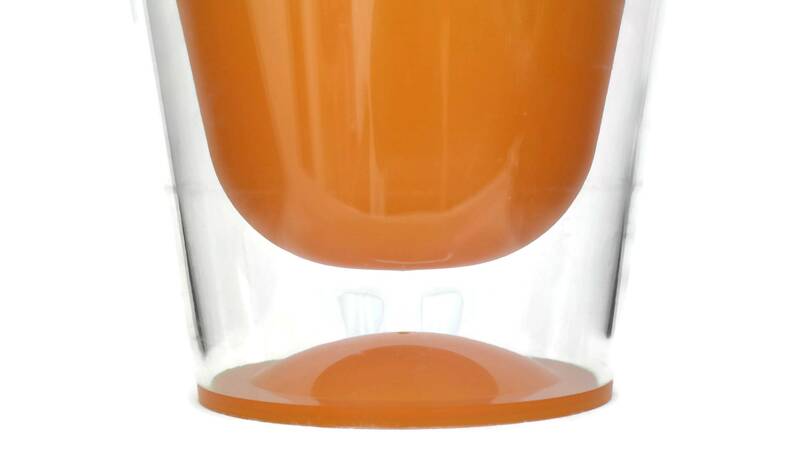 The acrylic wine chiller and cooler features a clear exterior with a vivid orange interior. 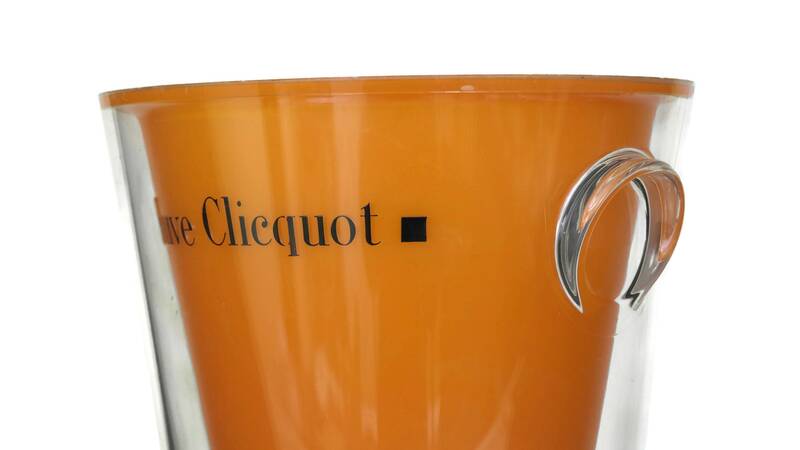 The ice bucket has been decorated with the champagne advertising logo on the front and back and has 2 stylised handles. 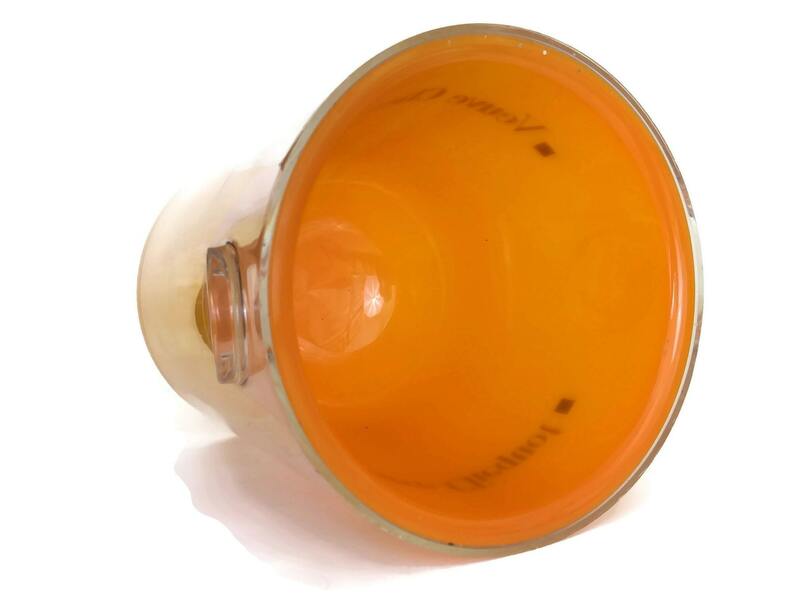 (24 cm x 24 cm). 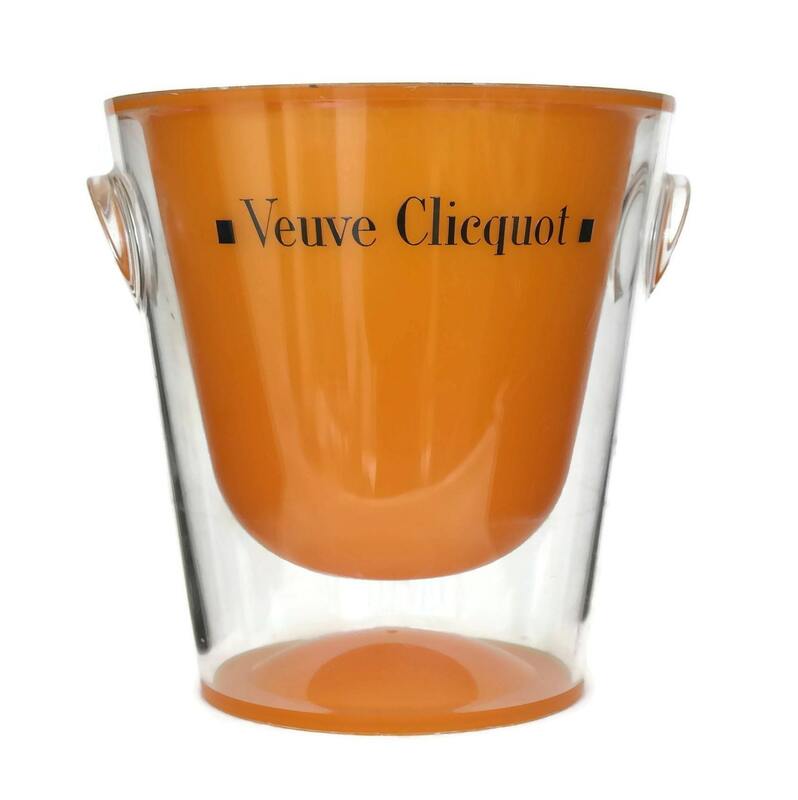 The champagne cooler bucket is in good condition with some signs of age and wear including light surface marks and scratches.